This is the beautiful invitation on the back of a little book I’ve just read. 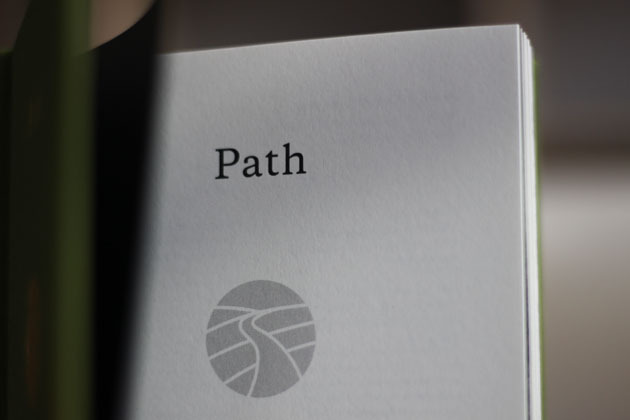 The book is Path – A short story about reciprocity by Louisa Thomsen Brits. I was introduced to the book by Hole and Corner – a publication celebrating creativity, craftsmanship and heritage, who had it as their book of the week at the beginning of October. 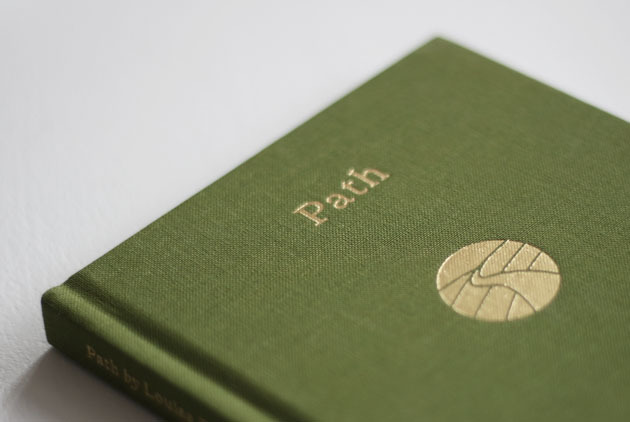 Along luminous chalk paths, ragged terrain and ancient tracks. To remember that you re not alone but part of an infinite web of connections. Inside the little story is told accompanied with photographs by Jim Marsden and artwork by Linda Felcey. Anyway – I wanted to share the book (and I hope Louisa won’t mind me quoting a few lines) as this page resonated and connected, and really powerfully articulated how I feel about working stone. It’s funny, because I was chatting with a customer a few days previously, when I said that stone had taught me so much – I was then asked what that so much was. One of the things – and this is where it ties in with these lines from Path – is that due to the resistance of stone, given as I carve, I get a very immediate indication of my own strength, size, muscle mass, shape, balance, vigour and spirit. Instant feedback on my physicality, it outlines my every fibre, emotion, heartfelt thought, it shows me everything, reveals all – my very own body-map, being-map, and also indicates the way (path) forward. If all this sounds a bit peculiar – go outside and lift a large lump of stone, or push as hard as you can a huge boulder with intention of having an effect – and I think you’ll begin to see what I mean. There are other heavenly moments in the book too, in fact it is all heavenly.